Studio Hotel Lille - Aparthotel in Lille - Furnished studios and apartments rental ! Short term rental of furnished apartment like aparthotel in Lille for holidays, weekends or studies. 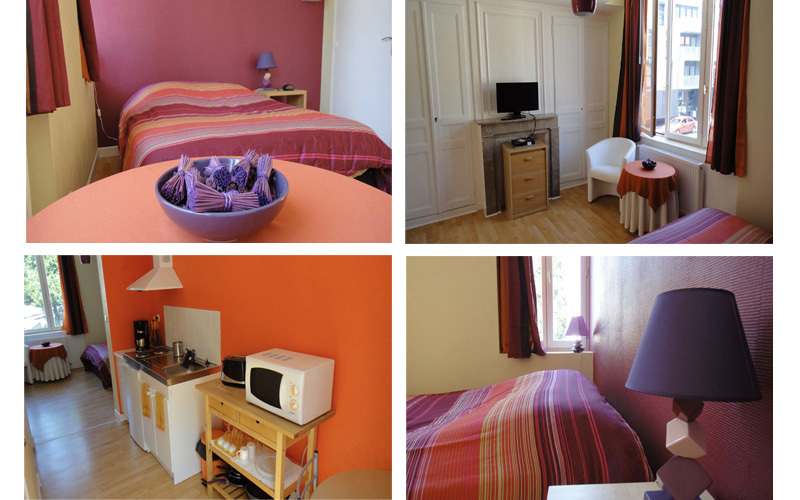 Our appart hotel in Lille are fully furnished and equipped apartments for you to enjoy the Lille life. 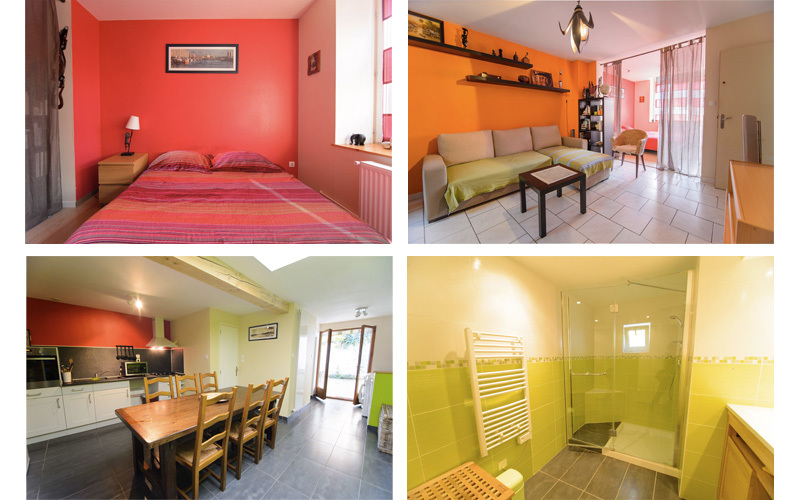 More economical and less impersonal than the hotel, furnished in the short and medium term rental is an alternative for business trips, vacation rentals, training or even for students or alternately performing a few months course on the metropolis Lille. The neighborhood Lille Bois Blanc, also known as the island of Lille, is a quiet area and one of the greenest of Lille. A nice walk along the banks of the Bois Blanc to discover the wonders of wetlands, and also to connect the Citadel Park quickly. Very close to our apartment hotel, many shops are present: bakery, restaurants, supermarket open 7/7, hairdresser, pharmacy, tobacconist, pizzeria, butcher. With a metro station, bus stop, and a V'Lille station down the street, with easy access to downtown Lille, in Lille, train stations, the Wazemmes market, the Vauban district with Catholic University and IESEG school of Business, among others. With Euratechnologie, ICT economic center of excellence and innovation in Lille on Bois Blanc neighborhood is undergoing modernization. With around 140 companies, the business park is located 600 meters from our apartments. 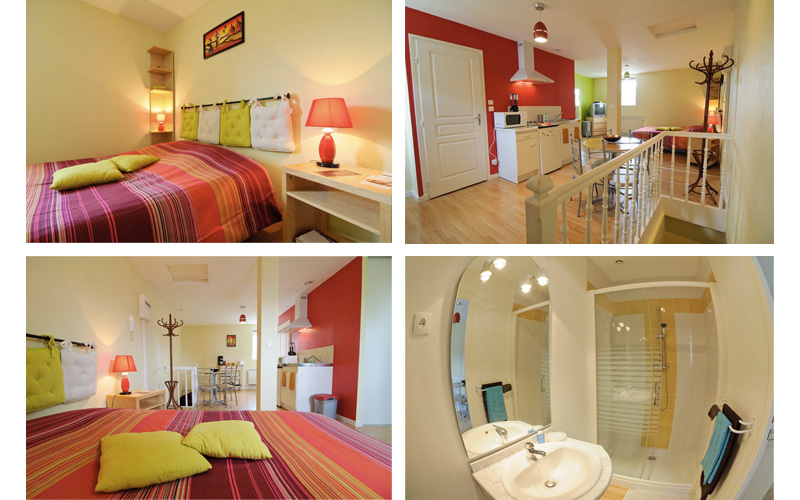 Studio Hotel Lille offers studios for one or two adults and a 2 room apartment for three or four adults. They are all fully equipped including a separate kitchen area and free wifi internet access. Ideal to feel like home for rentals of a few days, weeks or months. Each apartment is equipped with washing machine for longer stays, and large shower. Bed linen and towels are provided.